If you're a Toulouse fan then complete your kit range with the Nike Toulouse 2017/18 Home Rugby Socks in Black, University Red and White. Forming part of the Toulouse 2017/18 range these home rugby socks have been built from the ground up to provide comfort and performance, complete with Dri-fit tech which wicks sweat away from the skin to keep the wearer cool and comfortable. 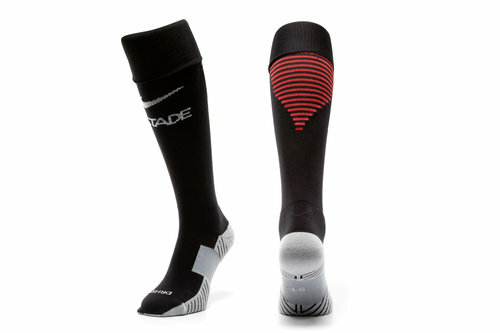 Designed in the traditional black and red these socks will combine to great effect with the home shorts and shirt.